Is your lawyer website ranked well at Google for both organic and local search terms? First a lawyer comic strip…..
Now back to the business of getting new clients…. If you want to get more new clients online, you have to make sure your site is set up right and that you are creating an ongoing series of content and getting links from other relevant websites. Here are a few lawyer SEO tips to help your attorney website rank better in the Google search results. Search Engine Optimization for lawyers (SEO) consists of a lot more than setting up a few meta tags like in the good old days. In 2019, you must create a lot of content, create a lot of videos, get social signals, get links from other sites and then do a lot more than that. Its an ongoing thing with SEO but there are certain things that must be done if you want to have any chance of ranking #1 at Google for your law firms top keywords related to your location and practice areas. Below are the top SEO tips for lawyers who want to try and do more with Internet marketing this year. Organic SEO, Local SEO, Video SEO, Social Media Marketing, Content Marketing, and Reputation Management are just a few of the things that you must do in 2019. *** This post is over 2500 words and will be 3500 once I add to it, like Im doing here! This should be the #1 tip on any list these days. Content is the key to success online and it always has been. Lawyers are not very good at creating content for their own websites I’ve discovered and sometimes they won’t create any for years. To be fair, they have enough to do, yet it’s key that someone creates this content! The more content you create, the better your SEO chances will be, simple as that. Its key in 2019 to create longer blog posts that are over 1000 words long and contain images, videos and infographics whenever possible. 1500-3000 word posts are even better. If you create content, especially good content that is long and unique, well that alone is going to help. Yet the added benefits are that people will stay on your site longer, people will more likely share this content, getting you links and social signals and also Google should reward you with some kind of traffic love. All of the content MUST be 100% unique and be able to pass the Copyscape test. You need to have a paid account to use Copyscape but its worth to know if your content is unique. If you put up a Blog post, you do not want to copy that same blog post to your social accounts or for a guest post you’re doing in order to earn some backlinks. Also, you want to make your main blog posts longer than your competitors and usually at least 2500 words or more. An example if this lawyers blog post on Personal Injury Timeline for a Car Accident Case. This post has over 2500 words, has multiple embedded videos from YouTube, has external links to high authority sites and includes multiple images. Usually, you want to also include an infographic, but you could also create a 2nd related post that covers a different angle and a different set of keywords. Building or earning backlinks to your site is the #1 most important thing to do in order to build your law firms SEO rankings at Google. This is not an easy process at all and why its so important. Buying links is against Googles guidelines, but if you create a good piece of content, a lot of websites want to give you a link in exchange for writing such a great piece of content. So you need to create even more content for guest posts, and then do a link outreach program to find sites that will award you with an editorial link to a page within your site. Make sure your site is optimized for the best possible keywords. Doing keyword research is a very good idea anytime you want to do a new legal blog post. You want to do research to see all the possible keywords related to your post and main keywords. Then you want to find keywords that are bringing in traffic with low competition if possible. Then once you identify the best keywords, you want to use them in your blog posts in strategic ways in the Title, description, headers, body, etc. Some of the best Keyword tools are SEM Rush and Google Keyword Planner. There are a ton of other keyword tools you can use but the key is using something to do some research and you probably will discover a bunch of keywords you never even considered using, but that could lead to some new quality traffic coming to your legal site. *** 2019 Update —- Use Neil Patels free keyword research tool at https://neilpatel.com/ubersuggest to find relevant keywords and long tail keywords that you can and should include within your content. This tool will give you an idea of how popular some keywords are and how much they cost on average at Google ads pay per click program for lawyers. Titles and Descriptions are still very important for SEO and you need to make sure EACH and every page in your lawyer site has a unique and optimized Title and description. The title tag is probably the most important part of your overall SEO strategy and it determines how search engines display each page. Your title should always include a relevant targeted keyword phrase, but keep it short and to the point. There’s no need to stuff the title full of SEO keyword phrases, doing that usually hurts more than it helps. Yoast SEO is the top WordPress SEO Plugin and helps you setup a variety of SEO settings and has a ton of built-in features that can help your SEO efforts. You can use this to optimize the Titles and Descriptions on the different pages. *** 2019 Update…. You do NOT need to upgrade to the Pro version of this software. I use it, but dont find anything that really demands an upgrade. The internal linking feature is good, but it can be done manually pretty easy. The key with this SEO plugin, is to make sure that all of the settings are setup correctly. The second most SEO relevant part of your page is the headline, or in coding terms, the “H1” tag. This tag is important for a few reasons. First, Google gives it a lot of weight because of its prominence on your page. After all, it’s the one thing that every user will probably read because its so BIG. You should tell your readers what the page is about and invoke some curiosity to keep them reading. You want to combine an H1 with a H2 sub-heading and try and get your main keyword that your focusing on, along with your geographic location. Also you want to make sure that different variations of your keywords are included throughout the page. If you have a page on “truck accidents,” you shouldn’t repeat “truck accidents” or truck accident lawyer excessively. Instead, use words like “truck crash accidents,” “truck wreck lawyer” “truck crashes,” and as many different variations as you can come up with. Google is not dumb in any way, in fact you should just presume they are a straight up genius. So you don’t want to do anything that is spammy or seems easy,. Things like repeating the same keywords over and over, or anything you think might have worked 5 years ago. The only thing that really works now is making sure you have a lot of high-quality content, and that you interlink that content together and make sure you use a lot of different variations of your keywords. That combined with getting high-quality backlinks and doing something with social media should help improve your organic SEO rankings. *** 2019 update – You want to focus on LSI related keywords and to make your page follow a theme. The best way to find what LSI related keywords that you should use on your post or page, is to do a Google search and at the bottom of the page, you will find a list of related searches that Google thinks are most related to your search. SO then you want to sprinkle these keywords into your content where they make sense. You dont want to just put them one after another where there is no logic to them being on the page. You must create new content around them usually and this can be a huge help, because by doing this, you now increase your word count by 500-1000 words or more. You also might improve your pages dwell time, and then you should start ranking for more keywords if you sprinkle in these related keywords in the right way. Getting social signals tells Google that your site is being shared by others and is popular. So the easiest way to do this, is to make sure you have social media accounts setup such as Facebook, Twitter, LinkedIn, AVVO, YouTube, Google, Pinterest and any other social media account you think might help your law firm. Then do facebook posts, adding videos, images and a link to your law firms site. Do tweets at Twitter and utilize as many social media accounts as you can. Then the key is getting people to share and like your content. The more this happens, the more Google will see that your being active and trusted by other users. You want to get as many retweets, likes, views and everything else that goes with social media. The more content you can create, the more chances you have at people liking and sharing your content. You want to build all of your social media accounts over time, the key is making sure you keep them updated. You want to have some kind of automation, so that when you do a blog post, it will automatically update your Facebook and Twitter accounts. More and more Google talks about how important a factor that Site Speed is. The faster your site loads, the better for everyone, including your organic SEO rankings. Yet improving your overall sites speed is not always easy, and sometimes you can fix your speed issue, just to have something else create a problem. So if your using WordPress, you need to use a good Speed and performance plugin such as W3 Cache or WP Super Cache. This is becoming a big deal and yes Russian Hackers are real! So are all other countries and who knows how they do it, or why they do it, but they do it constantly. SO you must have your site secured in multiple ways. There are some basic things you can do and then many more advanced things that really need to be done in order to lock down your site. Even then its possible you can run into some kind of issue where you get hacked and malware is on your site. Usually if you have a good web host, that problem will be solved and almost never an issue, IF you take all the needed steps. Site security for lawyers is part of the overall SEO strategy because if your site gets infected with malware or has any other kind of issue, it can have a negative effect on your overall SEO rankings and it can bring your site down for days. WordPress is an excellent CMS and very popular, yet it seems to be very vulnerable to hackers. Ive seen more and more lawyer websites that get hacked and have this ugly message from Google…. “This Site is NOT SAFE or This Site May Harm Your Computer”…. Thats the last thing you want a client seeing when they visit your site. This goes without saying but your site must be mobile friendly and easy to read on any mobile device. Google has put a big emphasis on this and will tag a site that is mobile friendly, so you want to make sure you get that tag because otherwise a potential client might just decide not to even visit your site. Mobile is more important than ever and is accounting for over 50% of traffic in most cases these days. Everyone is on a mobile phone and it’s getting easier to read sites, so people have no problem viewing your site on a mobile device unless of course, it is not mobile friendly, then for sure, they are leaving to your main rival’s site. So make sure you take all the steps needed to make your site mobile friendly and then some. Most WordPress themes these days will be responsive and mobile friendly without much needing to be done. Yet you can also setup a more custom mobile site using a mobile plugin and creating a custom mobile home page for your legal website. Create Videos of Lawyers in the law firm talking about the different areas of practice. Videos are a form of content and the more videos you can create, the more content you will have to spread around. Sometimes adding a video to a blog post can make it come to life and compliment it well. Then sometimes you can do a blog post just around the video. If you have a 30 second video of a partner talking about a latest case or practice area, you can embed the video into a blog post and add some content of the transcript of the video. You can not do Video SEO without videos. You need videos in order to come up in the YouTube search results. You need to setup a YouTube channel that links to the firms website, and then every time you create a video, you would upload it to YouTube, and then you will be able to easily embed the video into your legal site, blog or social media site. You should have customized images created for all of your blog posts, and then make sure they are optimized for SEO by adding keywords to the alt image tags. Your images can be found on Google image search if they are properly optimized. You can use a wordpress plugin that will help you optimize your images for SEO. Creating different images to use is a good idea, and you can have an image for your blog post and other images for different social media sites. Some sites like Pinterest are all about images, so you will want to have a custom image created around your latest blog post, and then have an image that has the title of your post. Then when the user clicks on your image, it will goto that blog post. Images are a good idea for multiple reasons and you should use one image for every 300-400 words of content. Images can make your blog post easier to read and its a good idea to use as much media as possible, so images, videos and infographics. Once you have a good newsworthy story with a catchy headline, then its a matter of putting the press release together and if done right and accepted, you can get your news story in front of a lot of potential media sites, including affiliate sites of bigger news sites like ABC and NBC. This can be a big boost for both organic SEO and Local SEO For lawyers. The press release would have a link to your website from a lot of potential high ranked and trusted media sites. It would also have your firms NAP (Name, address and Phone #) and those citations could help your firms Local SEO marketing efforts. Internet Marketing for Lawyers in 2019 is alive and well and there are a lot of things you can do to help promote your law firm better online. If done right, it can lead to a steady flow of new clients. The real key is creating new content for your website on a constant basis, not just plain text, but also customized videos, images, and infographics. You want to then also do a link outreach program and find sites where you can do guest posts with a link back to your websites power pages. Then you also want to get links to your subpages and blog posts and here you want to use a combination of anchor text including some blended keyword anchor text from some of your better link opportunities. We can help your legal practice with all forms of SEO Marketing. Contact us today for a free Legal Site Analysis. Citations are the secret sauce to getting better Local SEO rankings. The more citations you have that list your NAP – Name, Address, Phone #, especially from local area listings, the better chance you have at getting in the Google 3 pack map listings. Some citations are obvious for any business like YELP or Yellowpages.com. Yet you want to try and get legal niche specific citations as well if possible. So for lawyers, you want to get the AVVO, Lawyers, Findlaw, Justia and all the big name listings and the key here is making sure that your firm name and contact info is the EXACT SAME across all the listings. Then even better if getting citations from practice area specific places, so if you are a Bankruptcy lawyer, getting a citation from a bankruptcy directory is a good idea. Even better if its in your geographic area. THEN even better can be citations from other businesses that are in like 5-10 mile radius of your business. A combo of all of this is the best possible thing for your lawyer local SEO goals. As a lawyer Im sure you have been told a million times how you need SEO this and web site that and no doubt there are a lot of possible things you could do with your website and online marketing efforts. YET Im sure you would agree that being listed at the top of page 1 on Google and having an easy review system that results in your Google listing showing multiple 5 star reviews is something worth doing. ** SPECIAL Lawyer Local SEO & Reviews Package – 100% FREE FOR 30 Days, No Commitment and if your not satisfied with the results after the first 30 days, you can cancel and pay nothing. We are confident that you will want to continue the service after you see the initial results. We have put together a package for lawyers that covers what any lawyer needs……..
* This is an advanced premium system that makes is as simple as it can be for clients to leave you a review. #4- To have your NAP (Name, Address and Phone #) all setup and consistent across all sites. #5- To have high quality citations setup for your lawfirm at a number of different related sites and directories. #6 – Having a Press Release done announcing any news related to your law firm. The press release will then be distributed to 100’s of news media sites and will contain a link to your website and your firms NAP, Name, Address and Phone #, which are then citations that are listed at numerous high ranking and trusted media sites. This can have a big impact on your Local SEO results. * This is an advanced feature performed after first month and part of ongoing monthly service. ** SPECIAL Lawyer Local SEO & Reviews Package – 100% FREE FOR 30 Days, No Commitment and if your not satisfied with the results after the first 30 days, you can cancel and pay nothing. After the first 30 days, then it’s a $499 fee for the package and $99 per month for the ongoing Local SEO & Review work on your site. You can cancel anytime and no contracts. Sign up now below to start your free 30 day trial. We will start the initial work to get your site better listed in the Google 3 pack, have the review system setup and create graphics and videos for your firm. We are confident that you will want to continue the service after you see the initial results. We then have a number of advanced things we will do including the creation and distribution of a press release with your firms contact information. Is your lawyer website listed in the Google local map listings? Google usually will list the top 3 listings in its 3 Pack of local businesses for most local related searches. Not every search brings up the local listings, but for the ones that do, you want to make sure your in these listings. WHY? Many reasons starting with its Free! Then also its at top of the page and those Map listings stand out, especially when you have 5 star reviews that go with it. They also stand out more when a person is on a mobile phone, which more then 50% of people are these days. Getting listed is the first part of the solution but you need to do a number of things to get ranked well for all your keywords. Let us handle this for you and get your law firm on the Google 3 pack. Fill out this contact form or call us at 630-393-0460. Marketing for lawyers in 2017 is more competitive then it has ever been before, but that doesn’t mean you can’t still dominate your competitors if you take the proper steps. It’s just like preparing for a big trial, you have to do everything possible before hand so that you have a great result when you finally do goto trial and throw down. *** Latest Blog Post: 11 Top Lawyer SEO Tips for 2017…..
Legal SEO marketing no longer means that your just going to be ranked #1 at Google for a keyword related to your practice. Sure that still can happen and it’s a great thing but there is so much more these days that needs to be done other than basic organic SEO Marketing. Even with organic search marketing, sure you would like to be on the first page for term like “Chicago Lawyers”, yet odds are that isn’t going to happen, and really what you want to happen is that your found for 100’s of different longtail keyword phrases, such as “personal injury auto accident lawyers” or “Locate a Chicago Illinois tax attorney”. These are keyword phrases that will get less searches and have less competition at Google. The only way to achieve this is by having a lot of high quality content on your legal site and blog. Search Engine Optimization OR SEO for Lawyers is more important than ever for solo lawyers and bigger law firms alike. These days when somebody is in need of a lawyer, the first thing they might do is consult the web, usually from their mobile device. The yellow pages is dead, print ads are not what they used to be and consumers are skipping over TV ads with DVRs. So it is super key that law firms are able to reach clients and customers on the web. Lawyer SEO marketing is one way to do this and in combination with a good Social Media strategy and high quality content, it can be done and can lead to new clients. Yet you can’t just rely on having a good site and doing a couple of blog posts. You have to take a very proactive approach here and make sure things get done. You have to make sure you create some high quality content and update your WordPress site and blog on a regular basis. Below I have some information about each form of SEO marketing including Organic SEO, Local SEO, Video SEO and Social Media SEO. I then also have some SEO tips and tricks you can apply today to your legal practice. What is ORGANIC SEO in 2017? Lawyer Organic SEO is the OG of SEO and in 2017 it refers to the FREE listings at Google and other search engines that are usually below the paid listings. These are the most coveted spots and everyone wants to have their website come up on the first page of Google for free. Yet it’s harder than it used to be, plus there are more paid ads and people search for a wider variety of keywords these days. Another thing is that more people are starting at social media sites such as Facebook and never even doing a Google search. Yet you still need to do everything you can to make sure your lawyer website is fully optimized for Google. So while organic SEO for lawyers is still very important, there are a lot of other things to focus on these days. Your competitors are already doing more and your site is falling behind, but no need to panic or sweat it, you just want to make sure that someone gets to it eventually. The sooner the better! So the first thing to know is that there are a few different ways you can market your legal practice in 2017, no matter if you’re a solo lawyer just starting out, or a huge law firm with multiple locations. Beyond Attorney Organic SEO, you want to make sure your lawyer site is setup for Google My Business and Local SEO. Videos are a total must these days and Video Search Marketing is becoming a bigger thing. Social Media marketing is more popular than ever because everyone is on Facebook and it makes sense that your law firm should not only be on facebook but using it to promote your law practice to people looking right now for your legal services. What is Local SEO for Lawyers in 2017? Local SEO for law firms is a different animal than organic SEO, it’s more about how your legal site comes up in the local search results. Usually it’s a reference to the Google Local Business directory listings that come up when a user does a search of a local area or zipcode. The Google Map comes up along with 3 listings, otherwise known as the Google “3 Pack”, this has changed over the years and keeps going down. You want your law firm to be in these listings for your local city and zipcode. Visitors from your own city deliver high-quality traffic and leads to your law firm. So you want to make sure for starters that your Google My Business is setup, verified and optimized. Then there are a whole bunch of different business directories that you want to make sure your legal site is setup at. Some are obvious like Yelp and AVVO, but there are 100’s of different possible sites that your site might already be setup at. YET the key with Local SEO is consistency and you want to make sure that your law firms NAP (Name, Address and Phone #) are all coming up the same at the different directories. This means the exact same spelling, same phone #’s and everything else. If you have older office locations still coming up, then you might have a more difficult time with Local SEO. You want to get “Citations” of your firms contact info. Citations are mentions of your law firm with your contact info at different sites and directories. The more citations you have at high quality sites, the better your Local SEO results will be. Getting citations from local area businesses can make a big difference in your Lawyer Local SEO campaign. Pay per click or PPC Marketing is a reference to paid advertising done at Google Adwords program, Facebooks advertising program and many other sites that offer paid advertising. Usually it’s a you pay every time someone clicks on your sites advertisement and visits your website. Other times you can pay just for showing an impression of your ad, or you can also do Facebooks ads and set specific demographics so that your ads only show up to certain people in certain locations. PPC Marketing for Lawyers can get very expensive, so it makes sense to look at all of your options before spending a huge amount at Google adwords. Sometimes it makes more sense to do campaigns at Facebook and LinkedIn, or even a YouTube video campaign. Usually you want to test different campaigns and track the results to see what works best. Sometimes when your first starting a site, it might be a good idea to invest a few hundred dollars in a PPC campaign just to get some traffic rolling into the site. Its also a good idea to do PPC campaigns to test things out, you could run a campaign just on family law related keywords for 2 weeks or until your allotted budget runs out. You would then monitor the traffic, calls and forms to see how well the campaign worked. What is Lawyer Video SEO? Video SEO is probably the least known version of Legal Internet Marketing. It’s basically what it sounds like, your video coming up in the search results. Yet it’s the search results of YouTube, Facebook, Google Video results and other video sites. Just having a Video is a great thing for SEO in general but if you do additional things like setting up video on YouTube and optimizing the video listing, embedding video on other sites and doing a few other things with video syndication, you can get your video highly ranked, and in certain cases you can get the videos YouTube page to come up in the Google organic listings. Video is becoming bigger year after year, and with mobile being such a big thing, video goes hand in hand with mobile. It’s easy to watch videos on a mobile phone, SO it makes sense that if you’re a lawyer, you want to get your message out via video. Why? Because a client wants to SEE you and listen to you talk, so why not create a really good video and show off your expertise and instill confidence in the potential client. Just that reason alone is enough for a Lawyer to want to at least put up one video. Yet the better idea is to create a whole set of videos around the law firms practice and create a Lawyer Video SEO Campaign. Having attorneys talk about personal injury, DUI, criminal law, etc can make a huge impact. Attorney Videos can also make people stay on your site longer, which is a big factor with Google in your law firm organic SEO rankings. Videos are just like new fresh unique content. Even if you just create a 20-30 second video, that’s a new blog post of something unique, and then you can easily type out the content around the video. Then the video can be put in your blog post, it can be used at Facebook and other social media sites and you can also run a video paid advertising campaign using the video. One video can make a big difference, so why not create 10 as part of your new Legal SEO Marketing campaign in 2017? What is Attorney Social Media SEO? Social Media has just exploded and Facebook is a huge source of potential traffic. You can get free or organic traffic from Facebook by doing posts or you can also do Facebook paid ads and promote your different posts on facebook. Optimizing your social media profiles is key and you want to make sure you fill everything out and making sure you link to your legal website. There are a lot of different social media sites and it makes sense to setup as many top profiles as you can manage. You do NOT want to setup a profile and then never update it. This is different than say claiming your law firms listing at Yelp. That’s a one time thing, but if you setup a twitter account, and then have like 3 years between tweets, it just looks bad. So you want to setup accounts and then also apply some sort of automation that will help update your social media sites. Its possible to tie your Blog to your Facebook and Twitter accounts and have them update automatically anytime you do a blog post. You can also setup RSS feeds that will post to your accounts on regular basis in order to make your accounts alive and not just dead accounts. Yet the bottom line is that you MUST create high QUALITY content and you want to make sure you update your social media accounts and share your content. Hopefully you will get some social signals and get people to view your videos, like your facebook posts, retweet your tweets, repin your Pins at Pinterest and everything else that goes with social media marketing! We provide local SEO services to lawyers in any city across the United States. Local SEO is more important then ever before. Why? Well mainly because it usually comes up before organic rankings, but also because it can be easier to rank for because you wont have as many competitors in some cases. Also since mobile has become so big, it makes sense that they would see local results first when searching for local businesses on their mobile phones. So bottom line is that you want to focus on Local, Mobile and Video more then ever. The foundation of a great local SEO campaign is an optimized Google listing.We have perfected the creation, verification, and optimization process for our clients. When it comes to local business advertising, an accurate and informative listing on Google is as valuable as having an ad in the yellow pages 20 years ago. 1 – Optimize your title tag with the city/cities & services you offer. 3 – Avoid having duplicate content on the website. UseSiteLiner/CopyScape to check for duplicate content. 4- Your images must have descriptive ALT tags and filenames, because this is what search engines read while looking for images. 5- Write a blog on your website. 6 – Add product or service keywords in the title. 7 – Install Google Webmaster tools and Google analytics. This is absolutely mandatory. 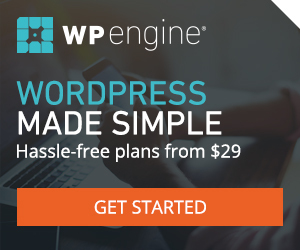 Do you need help with your legal wordpress site or blog? We can assist you with a variety of services related to WordPress including creating a new WordPress site or blog, updating an existing wordpress site or fixing a wordpress site.